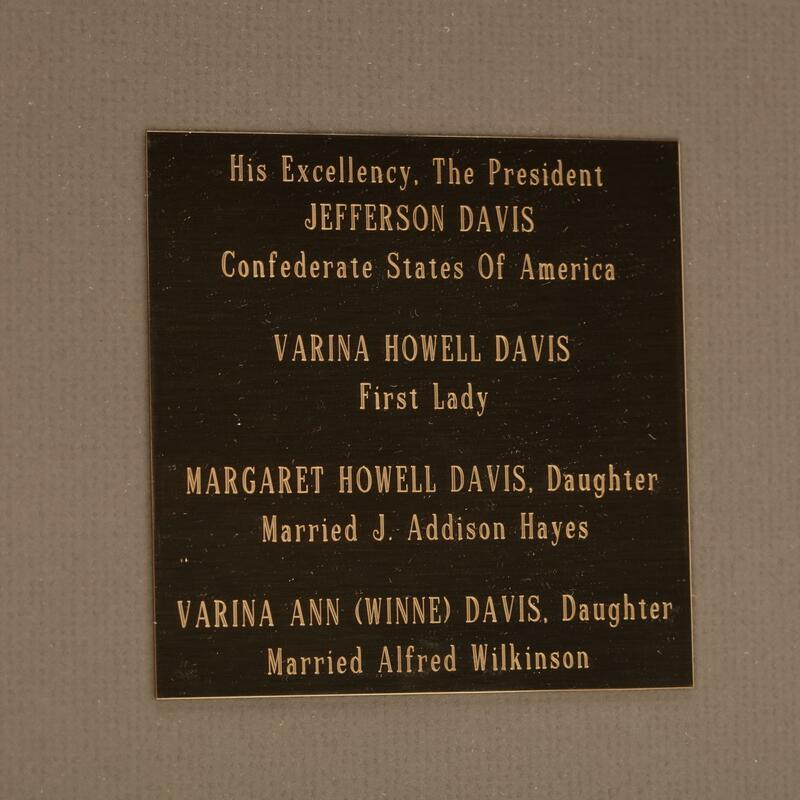 With sincere regard and best wishes for you and yours Jefferson Davis...sincerely yours, Varina Howell Davis. 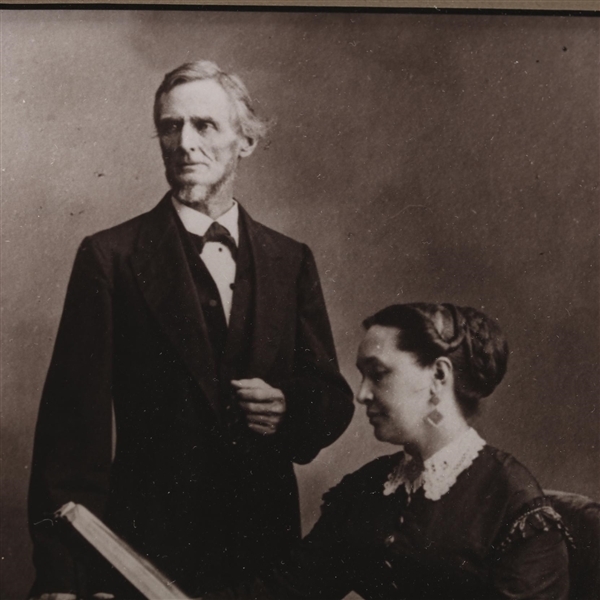 Margaret H. D. Hayes. Varina Anne Davis. Beauvoir, March 20th 1889" (5.5 x 3.5 in.). 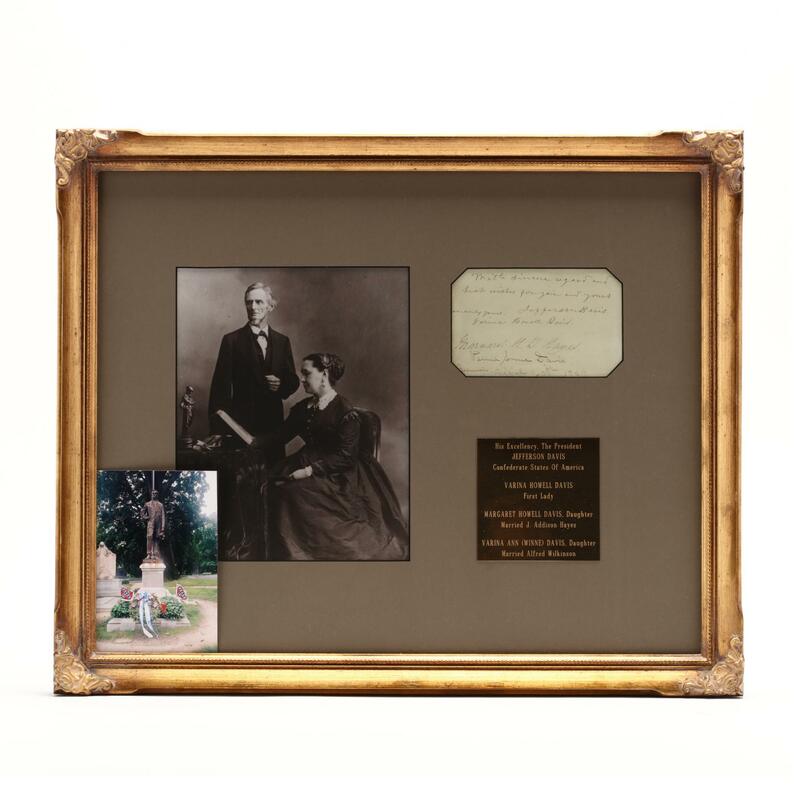 Professionally matted in a framed display above an engraved plaque identifying the signers.18 x 22 in. 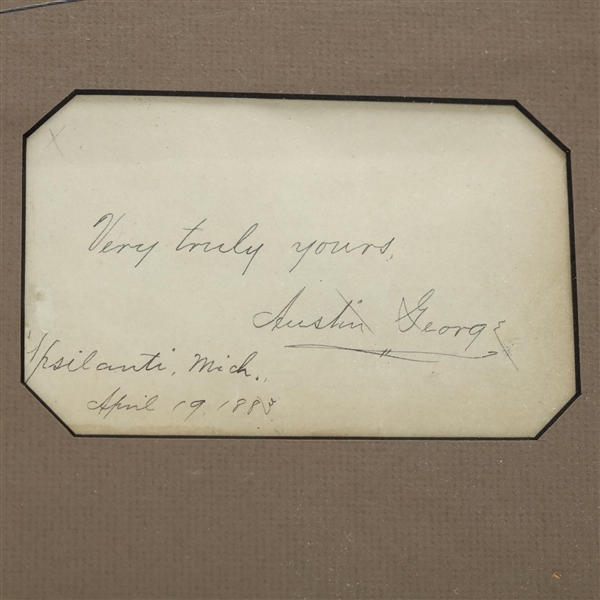 Note This collection of Davis signatures was penned on the back of a sheet bearing the 1883 signature of Union veteran and post-war professor Austin George of Ypsilanti, Michigan. 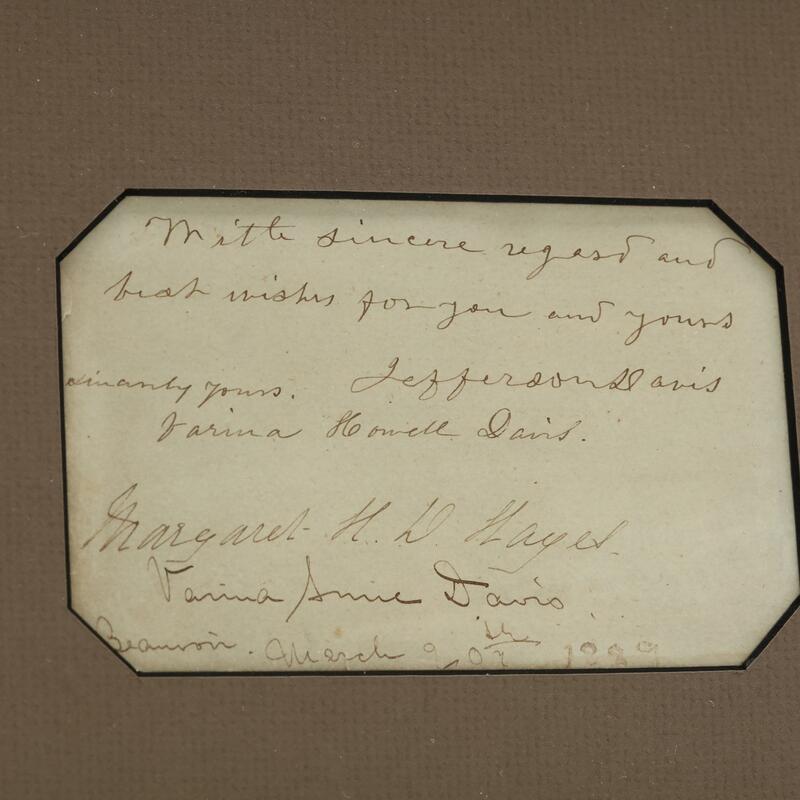 This is visible from the back of the frame.